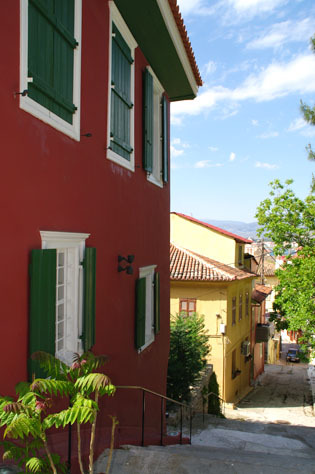 Located on the side of the cathedral of St. George, it is one of the oldest and most picturesque neighbourhoods. A path was carved out by the Venetians to divide the slums of Vrachateikon and Psaromahalas, in other words the district of fishermen. 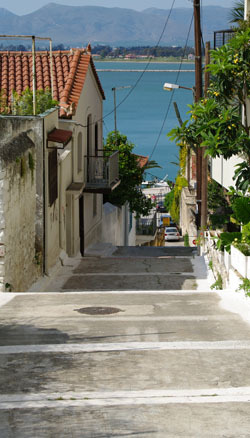 Climbing the characteristic steps, one can see the houses dating from various periods, some refurbished and others in ruins. At the highest point of the road, one can see parts of the walls of Acronafplias.